Blogging from A to Z April Challenge: The Great and Powerful A to Z Theme Reveal Blogfest! Second year for me. Really looking forward to it! the spaces are filling up! We should have lots of blogging fun on March 23rd! i LOVE seeing everyone's themes! 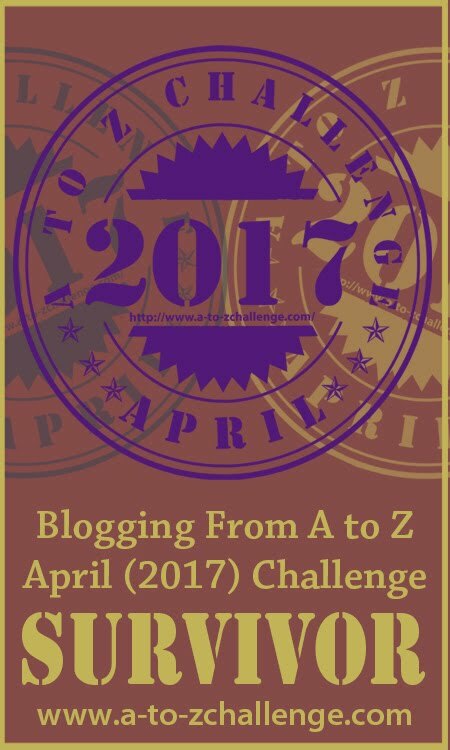 Looking forward to finding out if any themes will be trending among bloggers doing the A-to-Z Challenge this year. I already have a blog tour on that date, and I hate posting more than one thing a day, but I do want to participate so I signed up! 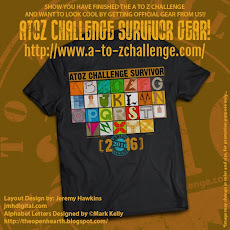 Do we need to sign up for Theme as well along with the sign up of the A to Z challenge? It is optional. 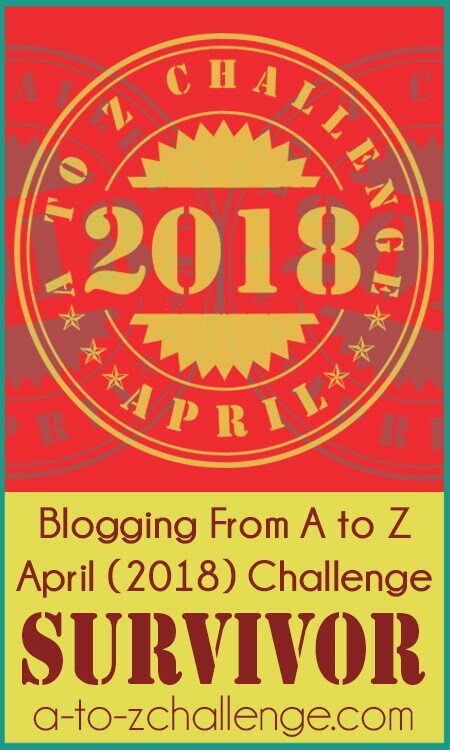 Bloggers who signed up for the A to Z Challenge are welcome to sign up for the Theme Reveal as well if they would like to participate in that March 23rd blog hop, before the A-to-Z Challenge begins in April. 58 now! Fourth year for me... off to work on my A to Z posts! Really looking forward to seeing everyone's themes! I'm looking forward to this. So far I'm on track with my plan to be organized for this year. I tried to sign up, and it says my blog is already on the list, but I don't see it. Am I blind? I'm number thirteen...though I forgot about the reveal and already blabbed about my theme. It's okay if you already blabbed because now on March 23rd you can blab again and maybe some new people can hear about it. I don't see it. Try again. I didn't know the list would distinguish blogs already signed up. I'm no#94 and the list has already grown to 108! Awesome idea! 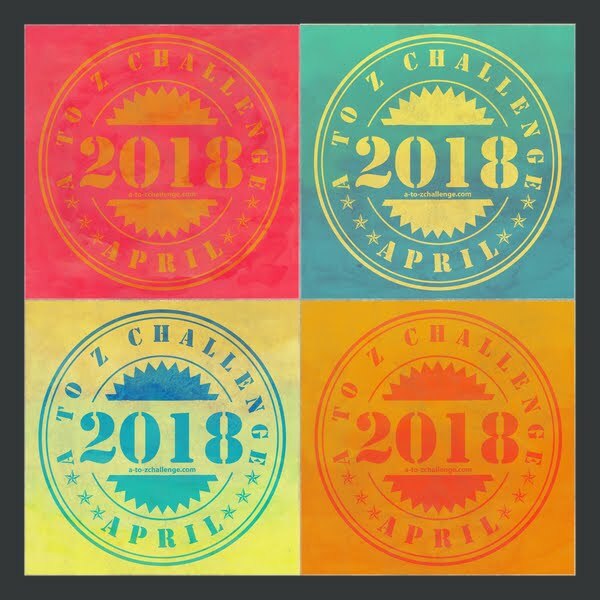 I've signed up for the A to Z Challenge and Theme Reveal Blogfest. I have been under the weather so I couldn't post the past few months of IWSG but will be back in March. This reveal blogfest has definitely gotten my creative juices flowing.Thanks for organizing, hosting and stirring my imagination. i said Coinfident Living instead of Confident, sorry for the typo! The typo is barely noticeable so I wouldn't worry about it. Having the link on the list is really what matters. I doubt whether anyone pays that close of attention to see if everything is spelled right. Woot woot! I'm in! On reveal day, does everyone tell what their topic for each letter is too? I think that's what I did last time, but that doesn't seem to be what the instructions say. It's up to you, Carrie. You can do your presentation in anyway that you like. OOPS. I entered twice. New URL though. Not a problem. Just so the link is right is the main thing. Gah! I didn't realize co-hosts had to sign up manually. Oh well, better late than never! Almost forgot about the reveal day, then as I was visiting from the regular a-z linky came across someone with their reveal post. So quick like snatched the badge and edited my post and here I am. Did some visiting #200 Bash Says Hey has no reveal post, no reveal badge, and no a-z badge...doesn't look like she's participating, just going for links. #300 Wild Womans Wolf Pack has no theme reveal post and no reveal badge and link. #400 Can't leave a comment without registering, and 150 A Field Trip Life has no reveal badge or post. My blog description in the line up is number 109 Are We There Yet? The link should point to your blog. Maintaining these lists is very time consuming and I don't believe they will be updated to point to specific posts at this time. 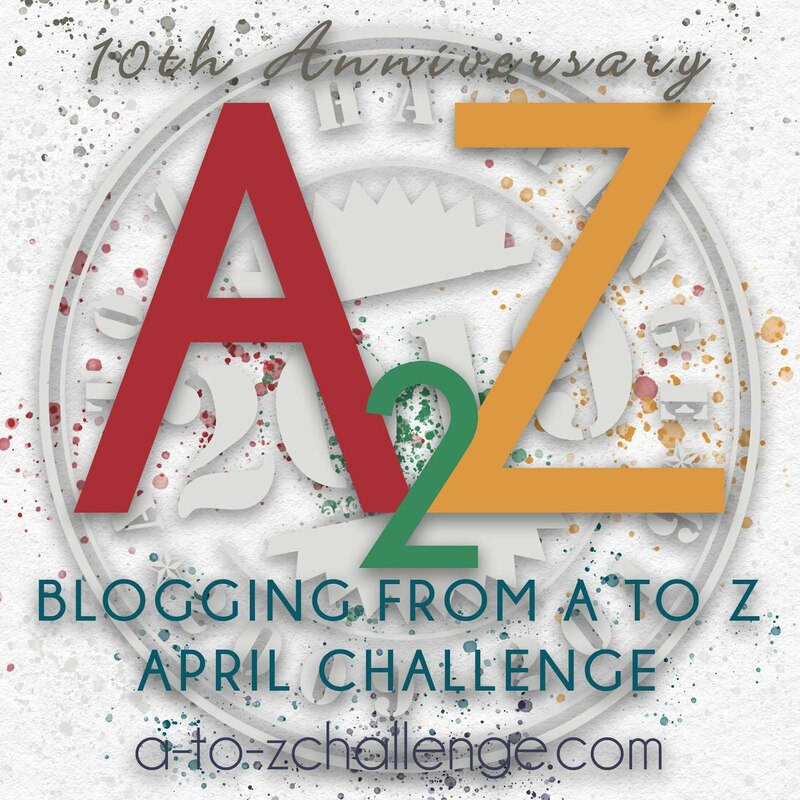 The rules for the Blogging from A to Z April Challenge don't apply to the theme reveal. If blogs do not participate during the Challenge, they will be contacted. We're sorry to hear you won't be able to participate in the Challenge this year. Your link (Sweet Bunny Dreams) will be removed from both lists. We hope you will be able to join us for next year's Challenge and that things go well for you moving forward. You can have a theme, if you want. It's not mandatory. Some bloggers prefer it. 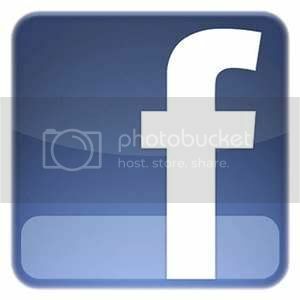 Your posts could be completely random as long as they follow the correct alphabet letter on the correct day. Ah okay did not know I had to add myself to this list too, so missed the day. #543 Snailpace doesn't have either the a-z badge or the reveal badge, doesn't appear they're involved. They have made reference to the Challenge on various posts and did announce their theme with the badges on that post. Every indication that I see shows that they are involved though they have not made it overly obvious. can I cheat? I've only just realised that the theme idea came from here and had to be registered here! Well I only decided on the theme itself a day before the challenge began. So just in case you publish this comment - my theme is POULTRY - and so far I have talked about Ducks, Geese, chickens and put up pictures of my chicks as they grow - be nice if anyone wanted to have a look! thanks, if you do put this up, maybe no one will think to look here anyway, but its worth a try. well I am trying again - because I was using the wrong id for this site! just to say that I didn't realise you could register your themes here - and so altho its a bit late, I have now seen the page and realise that its too late to be on the official list! thanks if you do publish this! I didn't officially sign up, but I've been doing this (I am a couple days behind) but I super LOVE it, thanks for the challenge! I missed this reveal blogfest, so I have a plan. I've counted 33 so far for the year, its quite a lot blogfest excitement really for my martian brain, LOL.